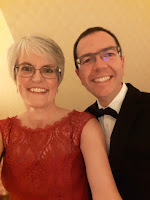 I began my last blog with apologies for bombarding you with posts...here, nearly two months later, my confession is of my laxity in sharing the joys of life and reading with you. So, with five books and eight weeks to fill you in on, this will be a whistle-stop tour. 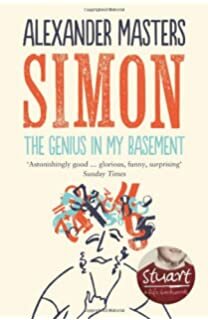 I'll begin with Simon:Genius in my Basement, which is a biography by Alexander Masters (see June post for, Stuart: A Life Backwards). This details the story of Simon Phillips Norton, a child mathematical prodigy who achieved O and A Level Maths grades as a boy. With his genius there is social awkwardness and lack of conformity. Despite his high IQ, he failed to gain the highest honours in his Cambridge degree because he had already completed the course and was bored by the time he had to take his exams. His obsession with public transport is eccentric, and Masters calls his basement "a cave" in which only the timetables and ticket stubs have any sense of organisation. Like Stuart, Masters builds a relationship with his subject, even accompanying him on holiday. 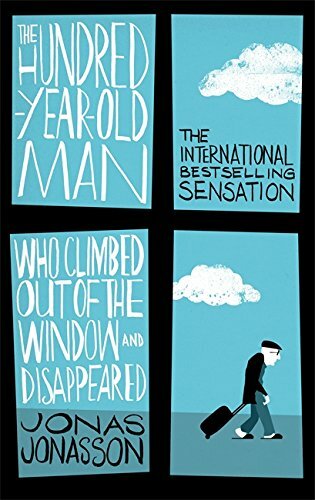 He seeks to understand the man, but also take the reader on a mathematical journey. You cannot understand Simon, it seems, unless you have a grasp of maths. This isn't any old maths either. Masters uses cute triangles with expressions on their faces to hide a complexity of patterns that end up being used to illustrate groups. These groups form the basis of his Monster theory and there ends my level of understanding...despite the triangles! My problem with this book was fundamentally, the maths. I wasn't interested enough in the quirky drawings and Masters grappling with his own intellect in order to comprehend Simon's. Like Stuart, he is on the edges of society, but for very different reasons. At the end of the book, I am uncertain as to whether he lacks the social skills necessary for relationship and conformity or whether he merely disregards such social conventions as unnecessary. He eats what he wants when he wants it. He lives in a mess or not as he chooses. He does maths as and when he feels an urge or an inspiration, rather like the romanticised view of a poet. He loves buses and trains. A genius, but perhaps a lonely one, separated from the rest of us by his capacity for brilliance. Despite this, empathy was not fully achieved and this biography lacked the compelling interest gained from Stuart. A few days after completing the Simon biography, we were university bound for child two, leaving hubby and I home-alone for the first time in almost 21 years! Whilst child two works out how to concentrate on essays whilst the college opposite has almost constant organ practice and bell ringing, we set to work on remembering what it was like to be just the two of us. And it turns out, that it isn't bad at all! Food bill is down, crumbs on the carpet markedly reduced and half term is just an excuse for a day out! We have managed an historic visit to St Albans, a trip to Sheffield to see child one, Oxford to check up on child two and the luxury of Celtic Manor for a weekend courtesy of hubby's work. Good start! So on with the reading. 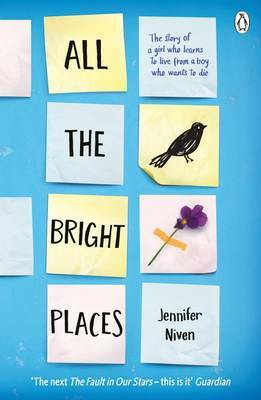 I completed my students' coursework texts with the young adult novel, All The Bright Places by Jennifer Niven and People, Places and Things, a play by Duncan Macmillan. The novel communicates well to its target audience about significant mental health issues. Both central characters have reasons not to live. Finch already has a name for himself as being violent and unpredictable,beset with depression that is always threatening to overwhelm him. Violet, on the other hand is vulnerable because of grief. Her sister has died in a car accident and she feels simultaneously responsible, (she encouraged them to go home on the route that killed her) and guilty for being the one to have survived the ordeal. The book starts with her about to throw herself off a bell tower in their school, and Finch talking her down. He protects her reputation by saying it was she who had saved him from the same fate. I wasn't convinced by this opening. It was very American High School and the drama seemed fake. I had no empathy with either character at this point and it took a huge measure of suspension of disbelief to continue reading. But I'm glad I did. What unfolds is a tender story that gives both Finch and Violet a chance to express themselves and find themselves in one another. Finch is significant in enabling Violet to cope with her grief, and she is significant in giving him the experience of a genuine relationship. I enjoyed the story-telling in this book, because ultimately, I gained interest in the characters and was invested in what happened to them both. I concede that it might be a "platform read", a vehicle to highlight an issue rather than weave a convincing narrative, but on the whole, for its target audience, it works. And if it means young people talk more about grief and depression, then it is a good thing. Similarly, People, Places and Things could be seen as an issue-play. It centres on Emma and her experience of addiction and rehab. She is an adult, but I was very surprised to learn in the closing scene, just how old she is supposed to be. My reading of the script had been of a teenager or early twenty-something. Perhaps that says more about my preconceptions than the play! Emma is only one of the monikers used in the drama, but it is the most consistent. As you might expect,this play seeks to understand identity and reinvention of self, and naming conventions is one way the playwright achieves this. It is gritty and honest and has hope laced through despair. Did I enjoy it? Enjoy is probably the wrong verb choice for this text. It is not designed to be comfortable. I appreciated it and again, if it helps start dialogues then it has served its purpose. behind the centenarian's escape is a run-through of twentieth century world politics from the nuclear bomb to Russian defence, international spying and multiple wars. He dines with American presidents, Swedish ministers, Russian leaders and Korean dicatators. It is a very clever book. Factual history is communicated through the interventions and exploitations of the seemingly incidental Allan Karlsson whose expertise in explosives made him an asset to successive regimes and governments. Wildly implausible, it serves as a tool to convey the events of the time. It also serves to demonstrate the ridiculousness of humanity and its political ducking and diving. Add a police chase, an elephant and a submarine and you have the bases covered. Light? Not really. Too much fact and recognition of human stupidity and recklessness preclude comedy, but it is very clever indeed. I wonder what Allan Karlsson would make of Brexit and Trump? to attend the ultrasound of their unborn child. This example is typical of the miscommunication between Rosie and Don that forms the basis of the plot. And this is what disappointed me slightly. Rosie was perceptive and patient in the first novel. She compensates for Don and he brings out the best in her. In this novel, she seems to have forgotten how to communicate with him, and this is a fundamental flaw. For the novel to be completely successful, Don and Rosie needed to be consistently portrayed. The cliche of the woman losing herself in pregnancy is also a little overdone. That said, I did enjoy the book. I particularly liked Don's research in the playground and his contribution to the Lesbian Mother's Project. I also enjoyed his practical research as he attended the birth of a calf! Definitely light, but also with serious intent. 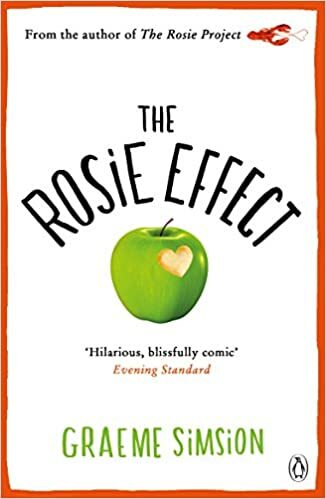 No-one can read these novels without acknowledging a little bit of themselves in Don...it also helps see beyond autistic spectrum labels and see the person behind them. So there you have it. Reading reviews up to date, with a tiny bit of life thrown in. My current read is Nutshell by Ian McEwan, prompted by the wild suggestion over break-time coffee that we start a nerdy bookclub consisting only of members of the English department! Watch this space!